These news briefs were published in the Diario de Juárez on 10 September 2014 (see below for links). They have been compiled and translated without permission for the Mexican Journalism Translation Project. A man was shot to death yesterday afternoon outside a hardware store in El Sauzal. Police at the scene put on an operation searching for those responsible. They have not managed to arrest anybody. The first reports indicate that a woman accompanied the victim. She was unhurt in the attack. The approximately 30-year old man had at least three gunshot wounds. The man was left in the street to the side of two parked vehicles; one a grey Eclipse where it is assumed a negotiation took place. Witnesses suggested that the man and the woman were outside the hardware store when an individual went towards them. He shot the man three or four times point blank. He escaped running. 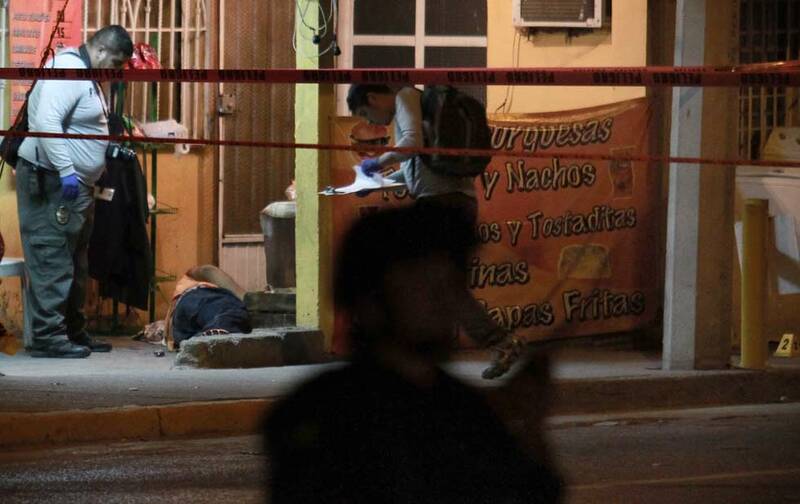 Agents from the prosecutor’s office and forensic investigators cordoned off the area on Ignacio Zaragoza Street between Puertos de Palos and Fernando Montes de Oca. Officers also arrived who had gathered information about the partial identification of the person responsible, thereby initiating an operation to capture him. 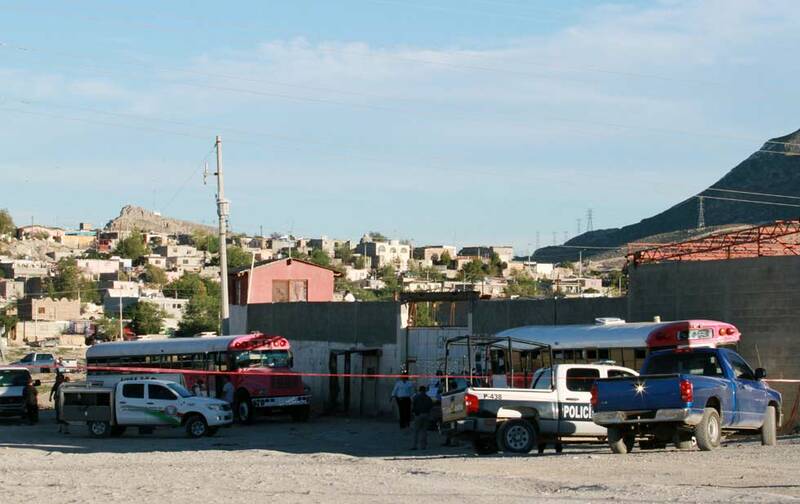 A bus driver on Route 3B was shot to death this afternoon in the Estrella del Poniente bus terminal. So far in 2014 five bus drivers have been murdered. This latest crime took place in the bus station in Isla Salomón Street, next to La Presa dyke and a thermoelectric power station belonging to the Federal Electricity Commission (Comisión Federal de Electricidad CFE). Red Cross paramedics attended to the victim inside bus 670 but he was already dead. Early reports indicate that the murderers apparently escaped in a green colored truck found abandoned a few blocks down the road. Agents from the prosecutor’s office and forensic investigator cordoned off the crime scene. Municipal police officers conducted and operation in the area in search of those responsible. 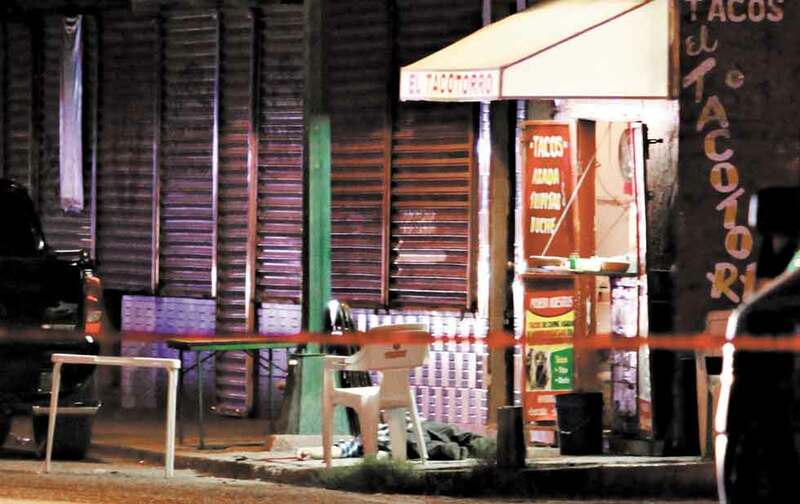 A trader was shot to death tonight at a hamburger stand located at the intersection of Aztecas Avenue with Tzetzales in the Colonia Azteca. An intensive police operation is underway. This is the city’s third murder in the last four hours. First reports indicate that the victim, Jesús Gabriel Flores Ontiveros, 27, was shot at least twice. The report compiled at the crime scene shows that a man appeared at the hamburger stand acting like a customer. Soon after he shot Flores twice and gave flight. City police arrived at the scene and mounted an operation in the neighborhood and adjacent areas in search of the person responsible. Meanwhile, agents from the Prosecutor’s office cordoned off the crime scene while forensic investigators took care of the body and evidence collection. This Wednesday afternoon a man was murdered outside a hardware store in El Sauzal. Later in the afternoon a bus driver was killed. Last night in Hermanos Escobar Avenue an intense mobilization of police forces from across the city took place. There were reports of a person shot to death. According to the first reports he was a deputy commander in the State Police Force. The report shows that the events took place in a taco stand outside a bar in the area. The victim was identified at the scene as Mario Alberto Sepúlveda García. First reports indicate that the police officer was at the Tacotorro taco stand when armed men shot him to death. The city police cordoned off the scene with the help of officers from the prosecutor’s office. From the outset they did not guard the secrecy of the victim’s identity. This new case brings the total to four homicides in the city in the last five hours.